I would like to send the warmest regards to all our clients and partners around the world. I wish you a year full of success, happiness and above all healthiness. Founded in 1996, Hiephoa Group, are proud to be a leading company in manufacturing, importing, exporting and research environmental equipment in Vietnam. We pride ourselves in restlessly developing and searching for advanced technology to sustain healthy environment and improve public safety and security. Having overcome many obstacles of the transitory economy, I have witnessed an exponential growth of the group, climbing to top 500 largest enterprises in Vietnam. 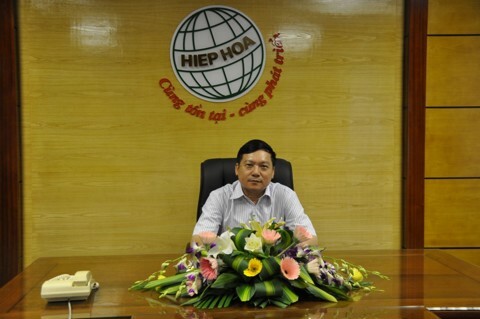 Hiephoa Group started from manufacturing simple products such as handcarts to more sophisticated vehicles such as garbage trucks, water spraying trucks, firefighting trucks, rescue trucks. For almost two decades, we have embraced and met challenges with our partners to make our product have their presence on every road of Vietnam, to every small corner to protect human life and property. With clients, we always stay as a trusted company with every client and hold responsibility to our product quality. With partners, we act as our slogan says: Survive together, develop together. I see my partners as friends, see the world as a common house for us to meet, to exchange knowledge and share opportunities to promote common prosperity. We strive to be a chain in the global value chain and we are here to make things happen. On one hand, the objective of our company is to be competitive and profitable. On the other hand, the philosophy, which is even more important to us, is our respect towards the relationship with clients and partners and our trust among each other. I hope you will continue to support us and work with us to fulfill our dream of protecting human life and our environment.